Add a classy touch to traditional huggie hoop earrings with these pearl pieces! 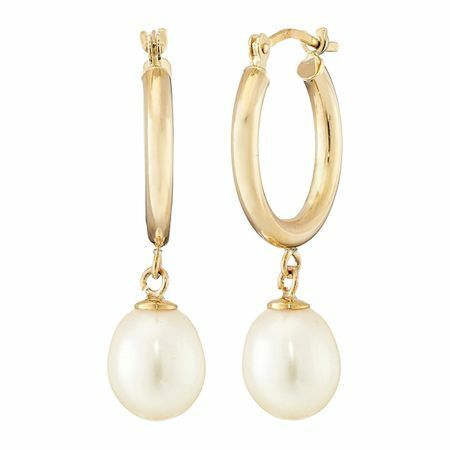 7-8 mm freshwater cultured pearls suspend from 10K gold huggie hoops. Pieces measure 1 by 1/4 inches.